Hard turrón, egg yolk turrón, mantecados, polvorones, marzipan, roscos de vino… They all mean it’s Christmas time in Spain! And what about Germany? Lebkuchen, Welfenspeise, Stollen, Spekulatius, Gluhwein, Feuerzangenbowle, Plaetzchen, Zimtsterne. Hard to pronounce but delicious to eat, right? Swedish is not an easy language either, but their Saffransbullar or Pepparkakor are definitely not to be missed. Each European country has its own Christmas flavor and it’s almost always sweet. Do you dare to try them? These are the typical Christmas sweets of Europe. Where should we start? Better start packing you suitcase because we go to…Germany! It is undeniable that Christmas in Germany is something very special. The traditional Christmas markets give a cozy atmosphere to its cold streets throughout the month of December and people get busy baking their famous Lebkuchen. And they smell so good! Do you already know what they are? They are slightly spicy gingerbread cookies, crunchy on the outside and very tender inside. Impossible not to love them! 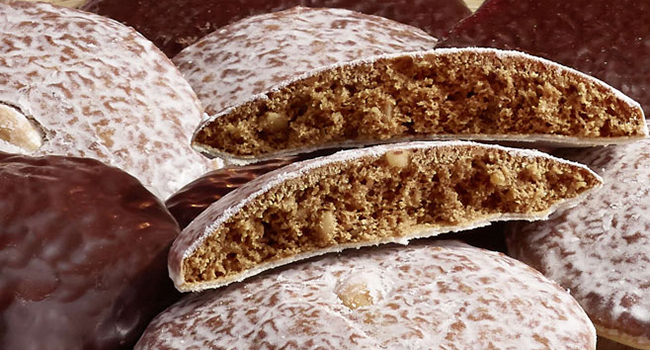 You can find the best Lebkuchen in the city of Nuremberg, or at least that’s what they say. In Dresden, where you can find the country’s oldest Christmas market, they prefer to bake Stollen, a cake filled with candied fruits, marzipan and nuts -such as walnuts and pine nuts- and topped with powdered sugar. Did you know that its braided form is supposed to look like baby Jesus’ diaper? After so many sweets, you might be thirsty, so why not warm up with some Gluhwein? It goes perfectly with the delicious biscuits Spekulatius, made out of almond and cardamom. In France they must have a sweet tooth, because they have thirteen different desserts for Christmas! And if you want to have luck during the coming year, you better try all of them. Of course, this is not about stuffing your face. The tradition comes from the early twentieth century in the Provence, and all of the desserts contain typical products of this region. Traditionally, families eat them after midnight mass. While there may be variations depending on the tastes, some of the most popular are: le gibacié, Marseilles biscuits made with olive oil and orange blossom essence, les nougats blancs et noirs, two types of special Muye nougat made with honey, almonds, sugar, eggs and other ingredients, and les quatre mendiants with nuts (almonds, raisins, figs and hazelnuts) that symbolize the four religious orders. 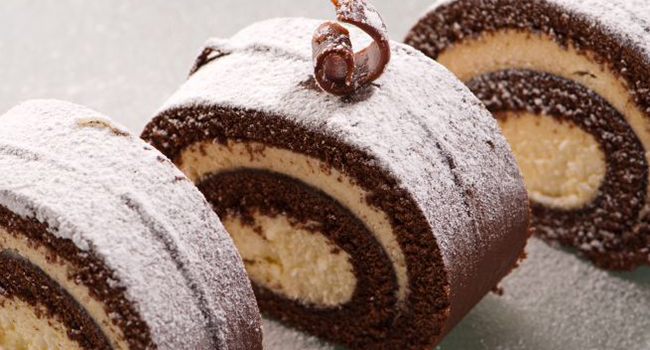 Besides, each region has its typical sweets, such as the Santa Cecile cake or the delicious and decorative Bûche de Noël. If there is an internationally recognized gastronomy that is represented worldwide, it is the Italian one. They have also managed to expand its Christmas traditional sweets beyond its borders to become part of ours. 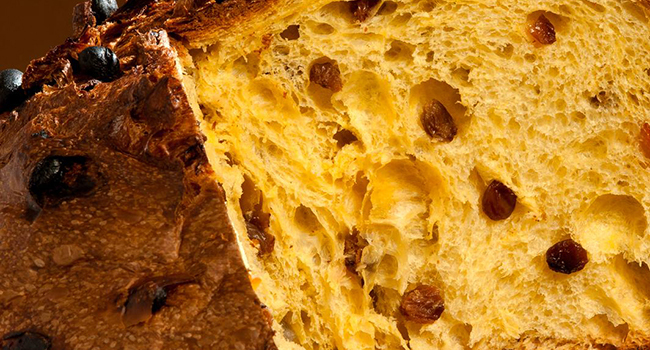 Yes, we are talking about the Panettone, the soft, fluffy, dome-shaped cake that is produced in Milan with raisins, butter and small pieces of candied fruits. However, there are also some other sweets that are starting to become part of the Christmas vocabulary all around the world: the torrone, made out of honey, almonds and nuts; the mostaccioli, with its characteristic diamond-shape and chocolate topping; the Cavallucci and Ricciarelli, the most typical of Siena biscuits; the cream pizza that combines nuts and fresh fruits sprinkled with chocolate, and the Sicilian Buccellato or bread pastry filled with dried figs, among many others. Best of all, you don’t need to wait till your next trip to Italy to try them. Don’t miss the chance! And what do you know about British Christmas? 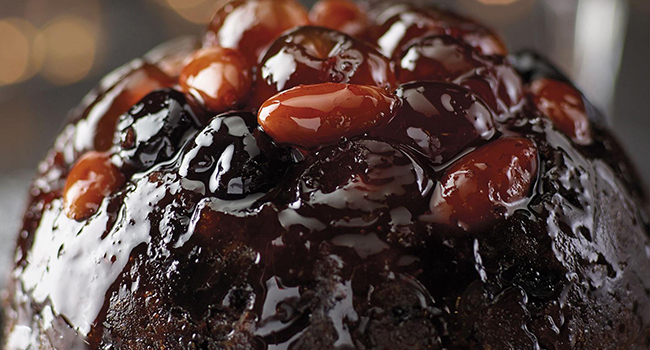 In Scotland you cannot miss the typical Christmas pudding, which, according to traditional recipes, has chocolate and rum as essential ingredients. And don’t forget to flambé! There is a local version called Clootie Dumpling with a fundamental difference in the way you prepare it, since you have to wrap it up in a cloth! During the Victorian era, Christmas pies were unmissable in Scotland. This sweet version of the traditional meat and pastry pies holds amazing surprises for the palate, such as almonds, raisins, roasted apples and oranges. However, their most amazing Christmas sweet is called Crannachan. Have you ever heard of it? Well, its content is even more amazing. You could call it a cup of vitamins full of berries, cream and a splash of whiskey, of course. Some people drink it in one gulp… Cheers to that! Do you know what is the favorite Christmas dessert in Spain? With such a wide variety, it is difficult to tell, but according to different market studies, the most popular and consumed one is… the King cake or roscón de reyes! Little needs to be said about this frosted jewel cake with candied fruit, right? In Sweden, try the Lussekatter or Santa Lucia cinammon buns, and also the Spettekaka. In Greece, they have delicious small pastries called Melomakáronos, and in Holland they have what they call Kerstkransjes, tasty donuts coated with almonds. Is your mouth already watering? Which one would you choose to begin with? Each European country has its own Christmas flavor and it's always sweet. Do you dare to try them? These are the most typical Christmas sweets in Europe.